With recent advances in laser hair removal technology you might not hear much about electrolysis anymore. The truth is, electrolysis is the only permanent hair removal method to date. Electrolysis takes time and is not necessarily a quick way to permanently remove your hair, but it is the only proven and safe method of permanent hair removal available. Treatment can be applied to most facial and body parts including eyebrows, chin, upper and lower lip, jawline, neckline, breasts, chest, underarms, abdomen, bikini area, fingers and toes, legs and back. My clients consist of women, men, teens, transgender and PCOS individuals. Please call, text or email to schedule an appointment, or a complimentary consultation which includes a sample electrolysis treatment. During your consultation, I will be happy to answer questions regarding treatment. Electrolysis is permanent hair removal. Regardless of the cause - heredity, metabolic, or hormonal conditions - electrolysis will permanently remove unwanted hair to reveal a glowing, confident you. Electrolysis is the ONLY method of permanent hair removal approved by the FDA. Is all Electrolysis the same? There are three types, or modalities, of electrolysis used today - galvanic (current produces a chemical reaction), thermolysis (short-wave which produces heat) and a modality that blends the two. They all result in effective permanent hair removal. A professional electrologist inserts a very fine probe (usually as thin as the hair being treated) into the natural opening of the hair follicle alongside the hair shaft. A tiny amount of low intensity current is then applied to eliminate the hair growth cells . After the follicle has been treated with the current, the hair will slide right out. This is done without puncturing your skin. You'll probably feel a momentary heat sensation or pinch. It is impossible to destroy hair growth tissue without sensation because each hair follicle is surrounded by its own network of nerve endings. Discomfort is minimal for most people, but individual tolerances vary greatly. Keep in mind that some areas of the body are much less sensitive than others. Many people read, listen to music or even take a nap while being treated. How often should I schedule Electrolysis sessions? The length and frequency of visits varies from person to person. It is important to understand that electrolysis is not a one time treatment. The goal is to first clear the area and then sessions are scheduled to keep the area hair free. Treatments are needed more frequent in the beginning. Together, a tailored program to meet your individual needs will be created. As progress is made, sessions are of shorter duration and less frequent. 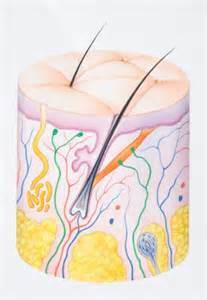 All hairs have different cycles of growth and are not visible on the surface of the skin at the same time. Hair normally grows for its usual cycle and then naturally sheds and replaces itself. Following active growing periods, most hair follicles go into a dormant stage. The period of dormancy may last for an indefinite period of time, however, replacement hairs usually appear within 3 to 12 months. The appearance of these coarse replacement hairs from dormant hair follicles should not be mistaken as regrowth from previously treated follicles. Depending on the area you want cleared, it could be a few minutes for a follow up appointment to an hour for a larger area. Most people who follow the recommended treatment plan can expect to be completed or nearly completed within 18 months. Factors such as hair growth cycles, the quantity and structure of hair presented, previous use of temporary hair removal methods, heredity, hormone function, certain medications and stress influence the treatment program for each individual. Why should I choose Electrolysis over temporary methods like waxing? Unlike other hair removal options, professionally performed electrolysis eliminates unwanted hair permanently, with unsurpassed results. Moreover, it does so for the largest variety of skin and hair types. Waxing, threading and tweezing are alike. With all of these, ingrown hairs and discoloration may result. Additionally, they may cause an increase in hair growth activity. Depilatories and shaving can cause an irritation to the skin while the hair regrows quickly. These methods can require a lifetime of maintenance. Many can appear inexpensive but cost more due to long term use and are found to be inconvenient. Immediately following treatment, there may be redness and slight swelling, which varies with each individual. The latest technology has made Electrolysis more comfortable and effective than ever before. Your Electrologist will provide you with post treatment instructions. You are assured of the best care from a skilled hair removal professional. Temporary hyperpigmentation (dark spots) is the darker skin equivalent of the temporary redness sometimes experienced by those with lighter skin. If you have been tweezing the hair, the irritation from that can also cause dark spots. These dark spots are a sign that the skin is doing its job and healing the irritated area; they will fade over time. Do not use a bleaching cream on these areas as this can cause light spots (hypopigmentation) when the skin returns to normal. Your electrologist can recommend an aftercare product to help speed the return to normal pigmentation. Still have questions? Please contact Corrin, L.E., anytime! Looking forward to hearing from you.